The hospital in Enköping, Sweden, is pictured on January 4, 2019, as it has received a case of suspected Ebola, according to health care officials. The patient was first admitted to hospital in Enköping after being treated now in Uppsala University Hospital. The emergency room in Enköping was closed, and staff who came in contact with the patient were being cared for, a statement said. Medical tests have cleared a man initially suspected of being infected with Ebola in Sweden. The man, who had recently traveled to Central Africa, made global headlines Friday and sent Swedish authorities into high alert after arriving at a local emergency department that morning with symptoms of viral hemorrhagic fever, including vomiting blood. 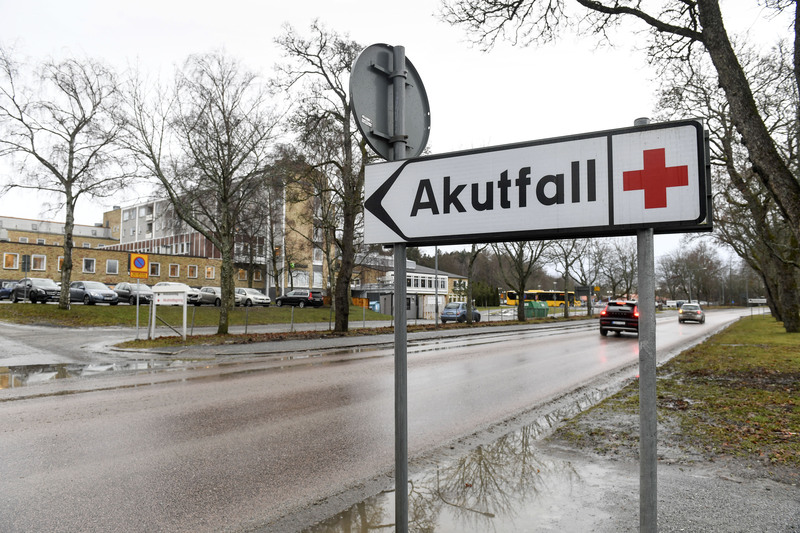 That emergency department—at a hospital in Enköping, which is about 80km northwest of Stockholm—was promptly shuttered, and the hospital began crisis responses. Authorities transferred the man to Uppsala University Hospital, where doctors treated him in isolation in the hospital’s infection unit. Test results released at approximately 2pm ET (8pm CET) indicated that he did not, however, have Ebola virus disease. He also came back negative for diseases that can produce similar symptoms, including yellow fever, dengue fever, Marburg hemorrhagic fever, and Rift Valley fever, authorities announced. Testing is ongoing to identify the cause of his illness. The unidentified man had returned three weeks ago from a trip to Central Africa, according to Mikael Köhler, the chief medical officer at Region Uppsala, which oversees several hospitals in the area. Köhler told local media that the man had visited Burundi, which shares a border with Democratic Republic of the Congo, where Ebola in endemic. Though the DRC is currently experiencing an outbreak, Köhler noted that the patient was not known to have traveled to any places with active Ebola cases. He also emphasized that Ebola was always only a possibility, not necessarily a likely cause. The tenacious Ebola outbreak not far from Burundi’s border in the DRC began in August and has health experts on edge over the possibility of its spread. Containment efforts have been crippled by instability in the region, and the deadly disease has scattered across the country’s highly populated North Kivu and Ituri provinces, which are near the borders with South Sudan, Uganda, Rwanda, as well as Burundi. Last month, the outbreak reached Butembo, a city with an estimated population of around a million residents near the border of Uganda. And this week, the DRC’s Ministry of Health reported a total of 608 cases, including confirmed and probable cases, and 368 deaths in the outbreak. With the volatility in the DRC, the World Health Organization in September assessed the risk of national and regional spread of this outbreak to be “very high.” But, the organization assessed the risk of global spread to be low.